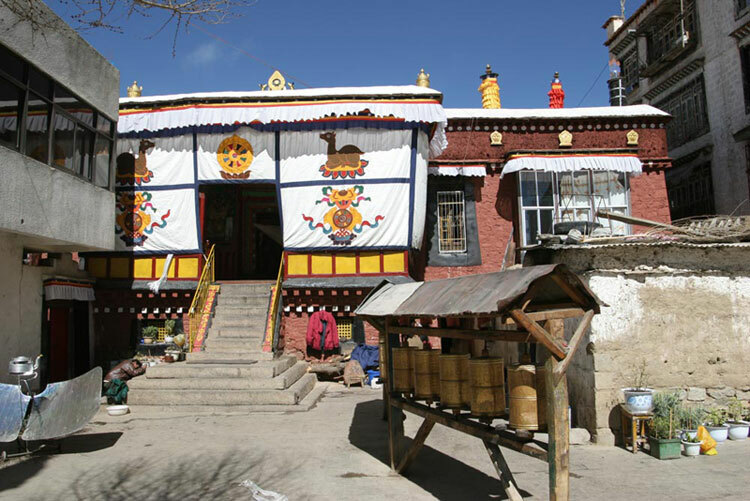 In the 17th Century, the Fifth Dalai Lama had Trode Khangsar built in dedication to the Protector Dorje Shugden. inside was also commissioned by the 5th Dalai Lama. By the end of the 17th Century, the Fifth Dalai Lama’s Regent Desi Sangye Gyatso entrusted Trode Khangsar to Riwo Choling, a Gelug Monastery. 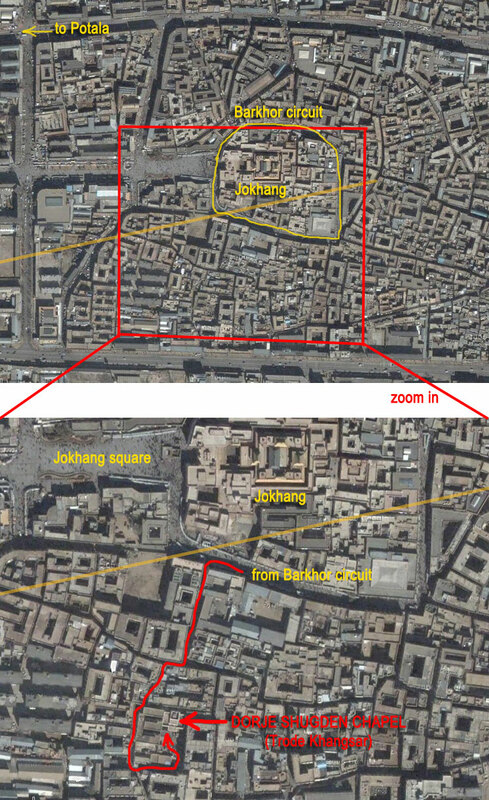 main circumambulation circuit or barkor. pujas/ceremonies to Dorje Shugden daily. It is open to tourists. sites span the entire known history of Tibetan Buddhist art and architecture from the 7th to the 21st centuries. texts, including excerpts from the writings of the Fifth and Thirteenth Dalai Lamas. 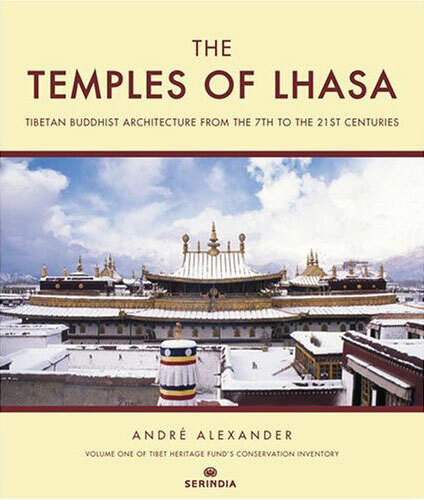 architecture covers thirteen centuries of architectural history in Tibet. This entry was posted on Tuesday, January 24th, 2012 at 5:45 pm	and is filed under Monasteries. You can follow any responses to this entry through the RSS 2.0 feed. You can leave a response, or trackback from your own site.